Ok, that’s the press release read, boy that was a lot of information to take in. Fear not, I’ll make sure to only highlight the bits that you’ll most likely to be bothered about. Mind you. before that, it’s worth pointing out that Ford stated that with the new Focus is started of with a “clean sheet of paper” and that it’s built from the ground up. Granted, this sounds like a car manufacturing cliché, but as you will soon see, the Blue Oval may have a point. The new Focus is the first Ford model to built globally on Ford’s new C2 platform – not to be confused with the Citroen C2. This new platform is designed to enhance crash performance as well as offering more room inside and better fuel economy. 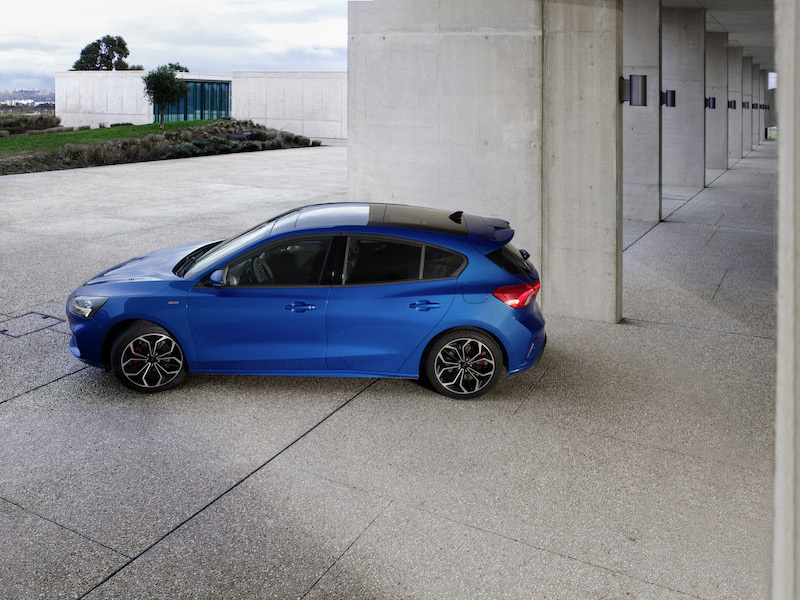 The new chassis offers a 20% improvement in torsional rigidity, which coupled with a 40% increase in front crash load capability leads Ford to believe that the new Focus will comfortably be able to offer a 5 star NCAP rating. However, just in case that is not enough, the new Focus comes armed to the teeth with safety equipment. So much so that almost expect a Volvo badge to appear on the front grille. It offers so much safety tech that it actually has level 2 of autonomy. To put that in to more simpler terms, the car will be able to offer adaptive cruise control, lane centering, active park assist 2, autonomous emergency braking, evasive steering – the list goes on. Basically, you’ll have to be a real doughnut to crash it – or it’ll have to take another doughnut to crash in to you. Enough about crashing, let’s talk about what makes it go. It’ll come with a good choice of engines, which will either be mated to a 6-speed manual or a new 8-speed automatic gearbox. Representing the petrol contingent is a 1.0 litre EcoBoost, which is able to offer either 84bhp, 99bhp or 123bhp. There is also a new 1.5 litre EcoBoost, which comes in tune of either 148bhp or 180bhp, and unlike other three-cylinder engines, it’s able to shut down one of its cylinders for better efficiency.For those looking for a diesel, there is a either a 1.5 litre or a 2.0 litre EcoBlue. The first of which is able to offer either 94bhp or 118bhp, whilst the latter offers 148bhp. Blimey, so the new Focus has lots to offer? It does, and there is more where that come – yes, really. Thanks to a longer wheelbase, and an interior that has been de-cluttered, there is more space inside. Those in the front will be able to enjoy a generous 1,421 shoulder room and those in the back will enjoy more space, too. 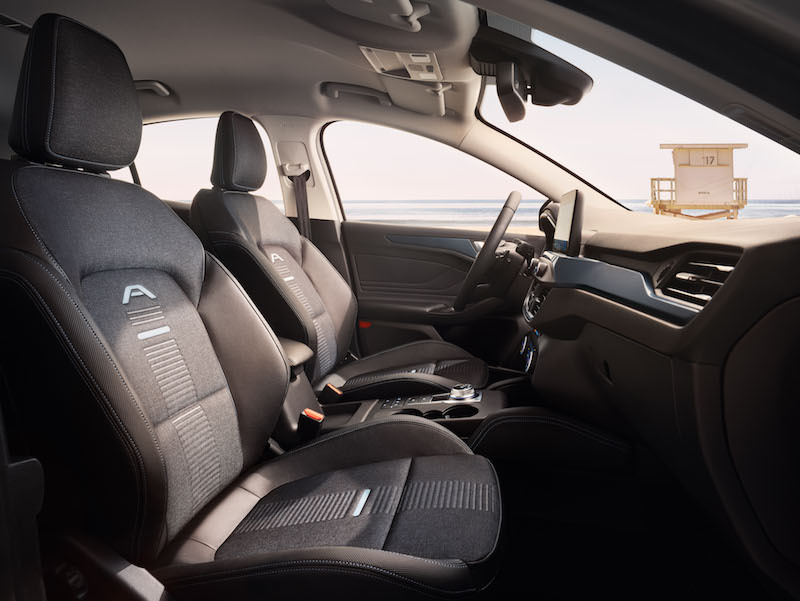 In the back you’ll find much more legroom than the previous Focus with a total of 81mm – best in class. Rear passengers will also enjoy more shoulder room as well, so you should no complaints from passengers on a long journey. Well, not unless you happen to be carrying ‘The Beast’ from The Chase. 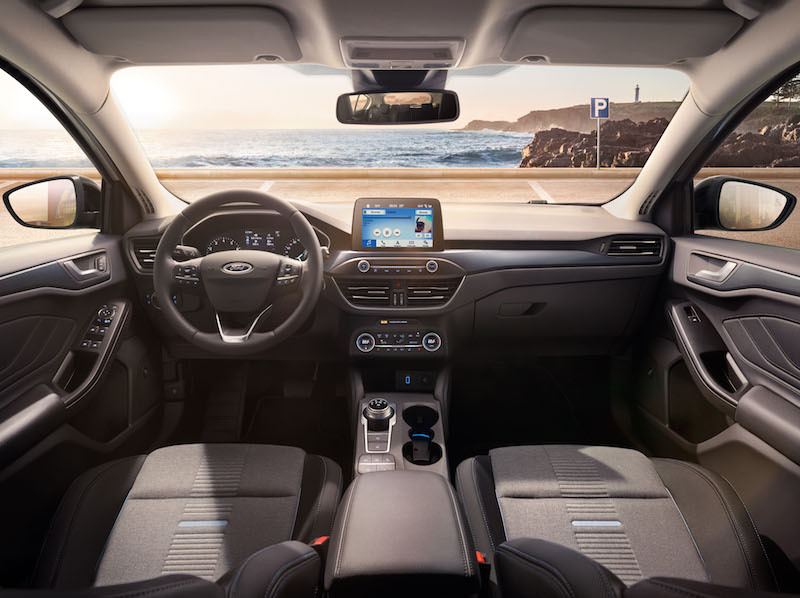 Like the latest Fiesta, the new Focus will be available with the B&O play sound system as well as well as Ford’s SYNC 3 system and an 8″ touchscreen. 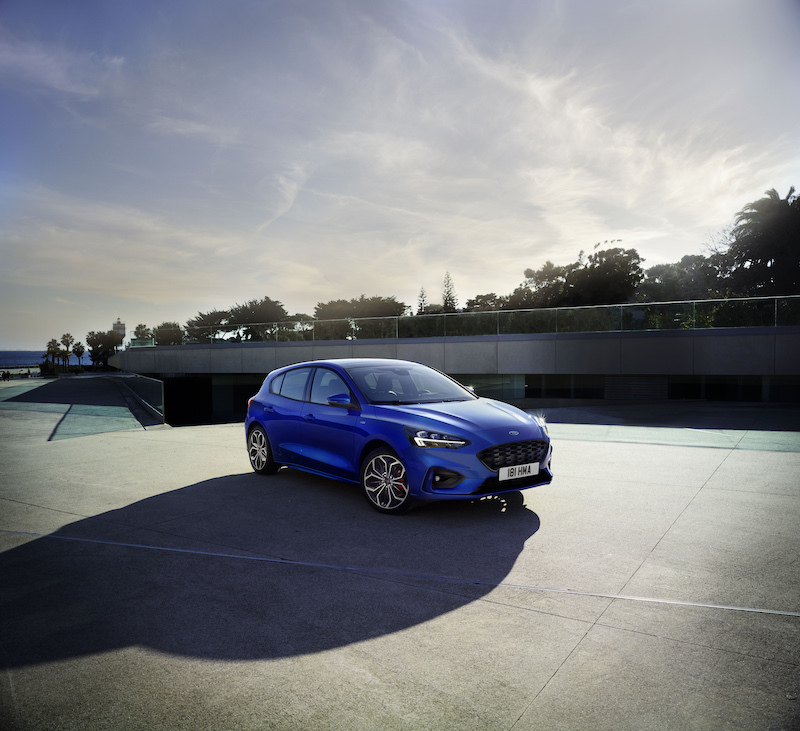 For the first time for a Ford model in Europe a head-up display can also be specified, plus there is the new FordPass Connect system. This uses the FordPass app and allows owners to control features such as unlocking/locking the car via their smartphone, plus you can use it to check the status of the car and if you locate it if you can’t even find it. The car has class-leading aerodynamics, plus a new suspension set up, so it should be even better to drive then the previous generation Focus. There is yet another first, and that is the continuous damping control system, which is able to monitor suspension, body, steering and braking inputs every 2 milliseconds, and adjusts damping responses for outstanding ride quality. There’s also selectable drive modes – Eco, Normal and Sport. 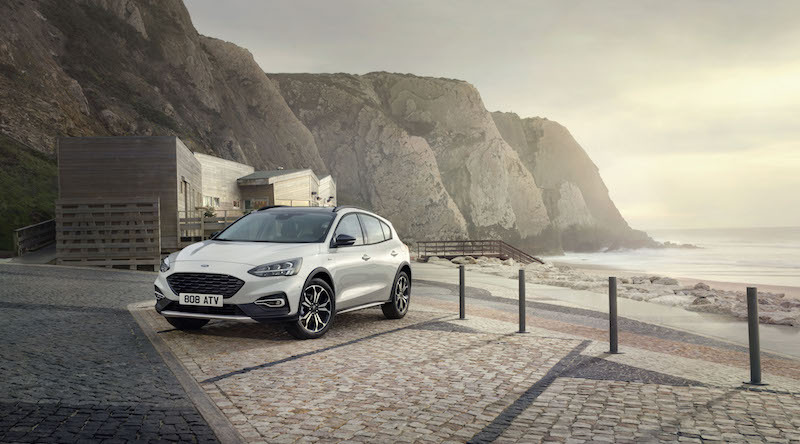 Well, the new Ford Focus is available to order now, with prices starting from £17,930 – more than £2,000 lower than the outgoing model. Take that, inflation. Until an Active, ST or dare I say, RS(?) 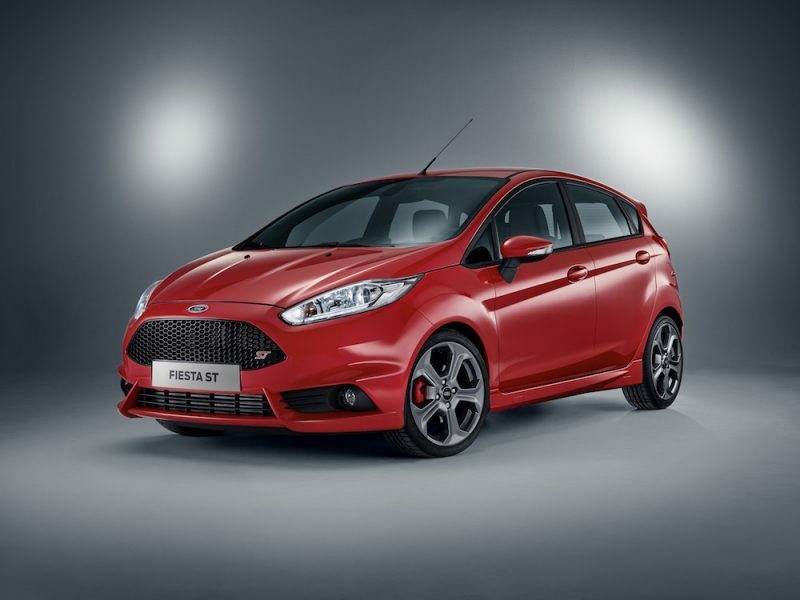 model is available, the Focus is available in 7 trim levels, Style, Zetec, ST-Line, ST-Line X, Titanium, Titanium X and Vignale. The base model Style is able to offer a decent amount of kit, such as 16″ alloys, DAB radio, air con, Bluetooth and autonomous emergency braking. 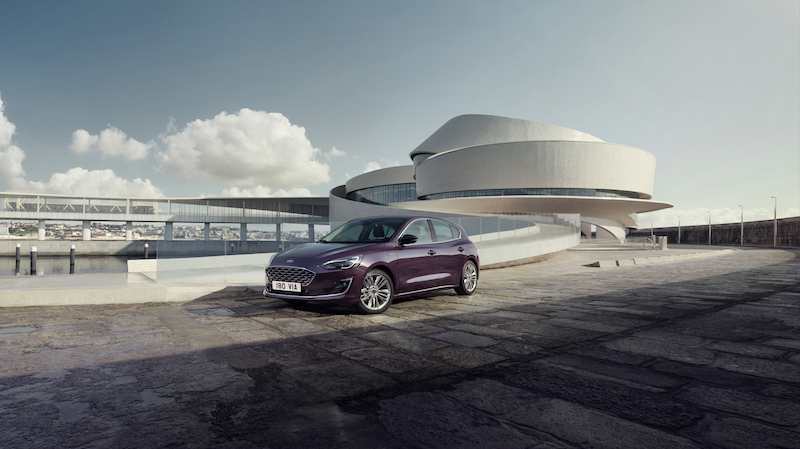 At the other end of the spectrum you have the luxury-themed Vignale, which starts from £25,450 and is able to offer 18″ alloys, full LED lighting, leather upholstery, head-up display, rear view camera, B&O Play sound system, dual-zone climate control, keyless entry and start, eight-inch colour touchscreen, satellite navigation and FordPass Connect wireless connectivity, and heated steering wheel to name a few. 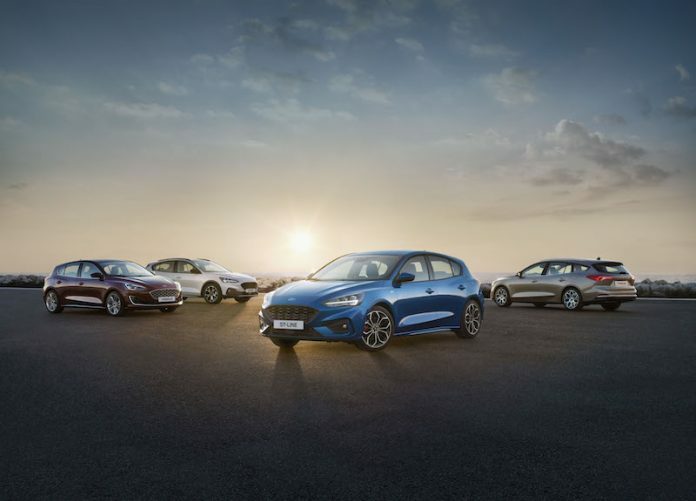 The new Ford Focus is available to buy now, with prices starting from £17,930.